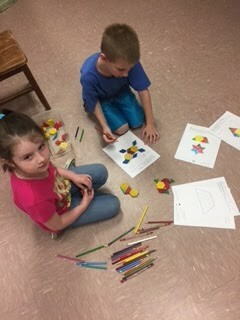 This week 2H students got to play partner games with one another using their color coded geo-shapes. The objective of the game was to use different geo-shapes to fill a template/pattern using the fewest amount of shapes possible. This helped students understand that bigger shapes are often composed of smaller shapes.